The demographics of Canada’s family farms are changing. 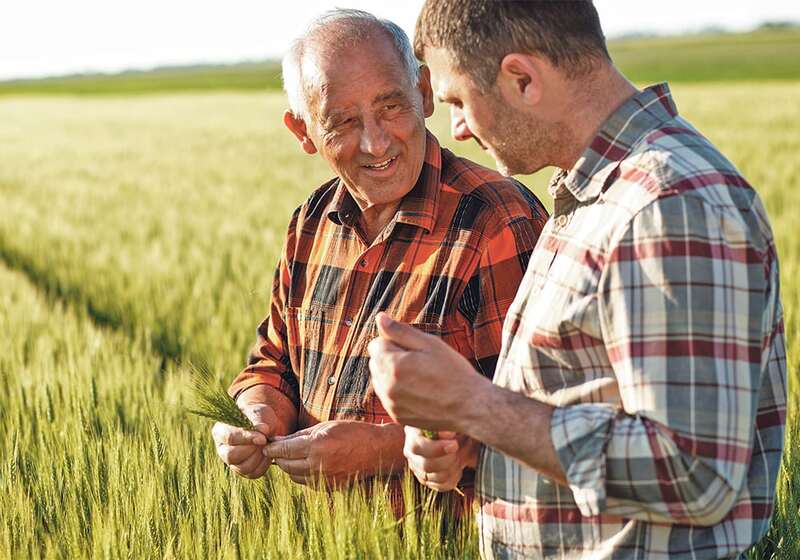 That means there’s a need for new attitudes toward farm succession planning, said Brent DeKoning, a farm succession expert with Lorkovic Wealth Management. “Over 50 percent of the farmers in Canada are … 55 and older,” DeKoning said during a recent web seminar, sponsored by Farm Management Canada. Those farmers “are dealing with a lot more wealth today than they were 10 or 15 years ago,” he added. DeKoning said Canadian farm families that don’t have a solid farm succession plan should start by asking themselves two important questions. First, where would they would like to see their farming operation in the future? Second, is that vision likely to be realized if something unexpected were to happen, such as a death in the family or an unexpected illness? A significant number of Canadian farm families don’t have a succession plan in place, he said. Some don’t even have a will. “A lot of farmers just don’t want to talk about this,” DeKoning said. DeKoning reminded seminar participants that every farm will eventually be transitioned, either during the owner’s lifetime or after the farm owner’s death, through the estate process. Either way, proper planning is essential. DeKoning said today’s farmers should ponder a few key issues when devising a succession plan. What are your lifestyle expectations? What will your life look like as you move toward retirement? What will it look like after you leave the farm? How much income will you need to support that lifestyle and where will the income come from? In many cases, long-time farm operators put the future needs of their children ahead of their own interests, DeKoning said. It’s good to look after your kids, but a sound plan should always focus on the needs of those who are exiting the business, not just those who are in line to take over the operation. As a farm operator, what would you like to pass on to your children, your grandchildren or other members of your family? Do all of the farm assets go to one child who has shown an interest in farming, or will they be shared equally between all family members, even if all of the children are not interested in running the farm? DeKoning said too many farm families fail to consider the long-term consequences of transitioning all or most of the farm’s equity to one child. “I’ve had a number of meetings now where we come in … and the family is fighting because the will was not updated (or) … it does not reflect what Mom and Dad wanted,” DeKoning said. DeKoning said farmers without a will should have one prepared and should revisit it regularly, as conditions change. Is your financial situation in line with your lifestyle and legacy expectations? Financially, can your farming operation afford to achieve your stated goals? Is a withdrawal of some farm equity or a sale of some farm assets necessary or acceptable? Ask yourself, is this feasible? Are my financial goals realistic or are they unattainable? Are you working with the right people to ensure that your plan is sound and your goals are achievable? When was the last time you had a meaningful discussion about your long-term goals with your accountant, your lawyer, your banker and your insurance specialist? According to DeKoning, tax implications are an important part of farm succession planning but they should never be the only consideration. “There are lots of people in the farm community who can help you get these answers,” he said.